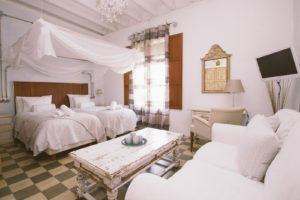 Welcome to Vara de Rey Guest House, a true “home away from home", and the coolest hotel in Ibiza town! 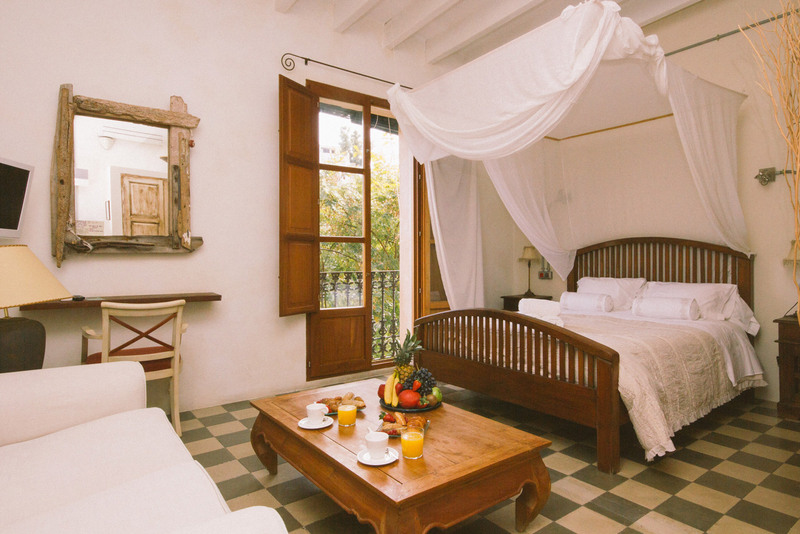 Founded in 1953, located in the very heart of Ibiza town and surrounded by early 20th century buildings, some rooms face Paseo Vara de Rey and the ones to Plaza del Parque have unbeatable views of D'alt Vila. 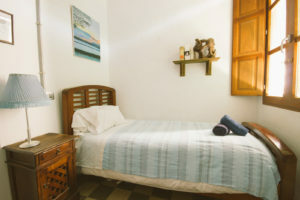 The hostel is full of youthful charm and has been decorated in it's own ibicincan style, with an eclectic mix of recycled and modern art by artists from the Island. Literally only a 2 minute walk to the Port of Ibiza where all the best shops, restaurants, bars, cafés and even Pacha and Heart nightclubs are within walking distance. 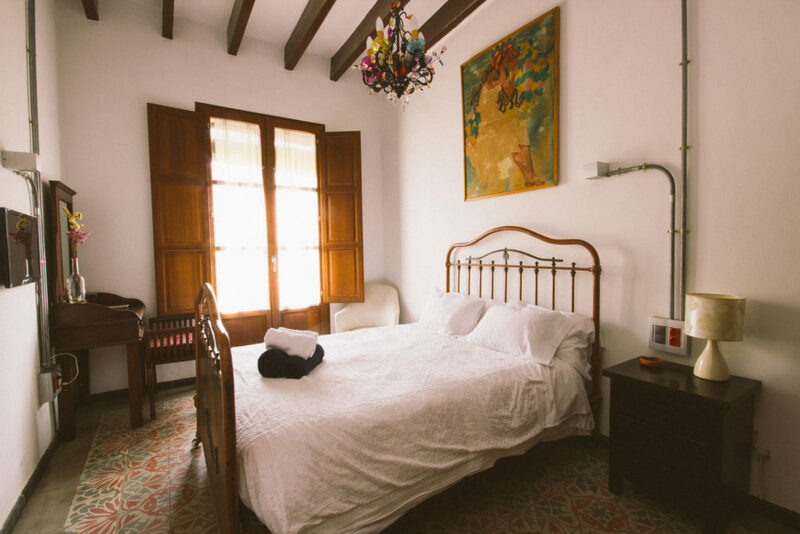 If you are looking for comfortable, friendly, cool and cheap accommodation in Ibiza town this is it! 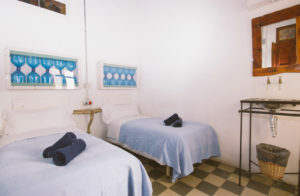 There are three single rooms with wash basins, central air-conditioning, safety box, ceiling fan, street views and shared bathrooms. Basic double rooms sorted with two single beds, wash basin, central air-conditioning, safety box, interior window and shared bathrooms. Our super cozy double rooms, equipped with double or with twin beds, tv, mini-fridge, wash basins, ceiling fan, central air-conditioning, safety box, street views and shared bathrooms. This is the only one in its kind and very romantic room with one double bed, own air conditioning, tv, mini-fridge, safety box, interior window and private bathroom. Equipped with one double bed or two twin ones, TV, mini-fridge, sitting area, own air-conditioning, safety box, private bathroom and stunning views. Vara de Rey is a small guest house of contemporary design, pioneer in the art of combination of future and past with the use of innovative non-associated materials. 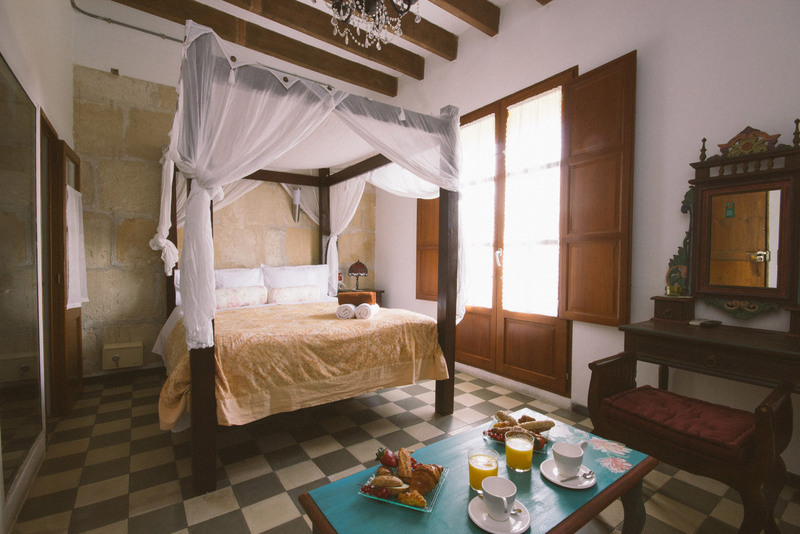 Each room has been lovingly restored from the original 1953 design, transforming the vision, and all of them have a very special charm. The bustling Vara de Rey and Plaza del Parque provide interesting views from most of the rooms. The reception is open from 10.00 to midnight (Sundays 10.00 to 15.00hr, after closed). Check-in is from 12.00hr and check-out until 11.00hr We can only wait if we know your arrival time. For all the guests arriving after reception timetable, it is a booking condition to hire the night reception service; this service costs 20€ up to 2 hours waiting.